Elegant and infinitely flexible. Meet Swell by Pablo Designs, a new collection of modern LED-driven pendant lighting designed to bridge the divide between indoor and outdoor lighting, enhancing any environment where it is placed. How did you get into modern lighting design? The magical world of light has always fascinated me since I can remember. 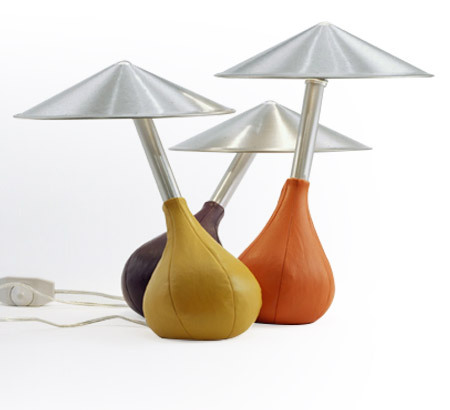 My first lamp was created in 1993, the Piccola Lamp. It's now a part of the SF MoMa Permanent Collection and became the embodiment of our core design philosophy: keep it simple and distill down to the very essence. It has to have created a unique relationship to the user. All else follows. Lighting design became my playground to experiment and challenge traditional metaphors to see our world and new ways we didn't imagine. What are some of your favorite sources for inspiration/creativity? I'm extremely curious about the built environment and am very inspired when design ultimately solves problems for people. Great architecture, great design and nature are great sources for my inspiration. I love exploring new materials and production processes that can ultimately transform an elegant and simple design into something magical and transcendent. I create vessels for light. The object and the light it produces become one when it is done well. Lighting design is truly a playground that allows me to sculpt light right alongside sculpting the object. It needs to have a deeper meaning beyond the object itself. Light should serve us in ways we never imagined. What is important to you about using LED technology in lighting? LEDs have finally reached a tipping point where due to their minimal size, powerful light source and efficiency, we can now seamlessly integrate LED technology into architecture, fashion, furniture and just about any object. Where did the concept for the Swell series originate? The Swell series was designed as a lighting system that can live equally well indoors and outdoors. Each lamp can connect to the next via its minimal connection points to create almost endless strings to a single power source. We plan to leverage this system's solution to create many more designs with a variety of form factors and materials such as glass, wood and fabrics. All based on the same system. Is the Swell series more applicable for commercial or residential applications? Swell is perfect for both commercial and residential applications alike. 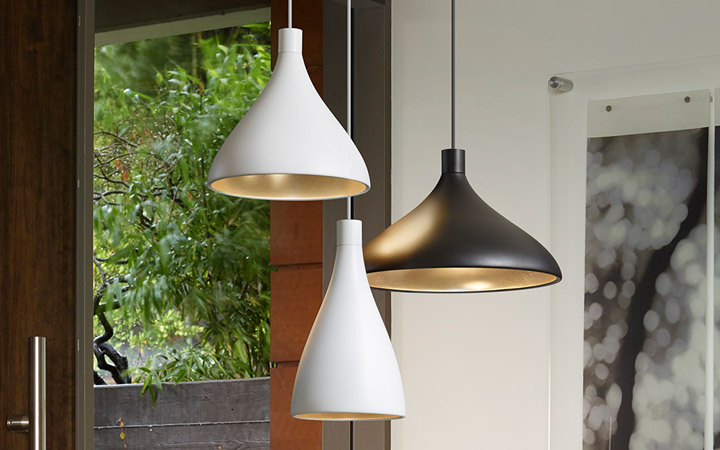 It is also an indoor/outdoor fixture so it has to be robust and weather resistant. Swell can be hung individually or in multiple strings, as this was our goal. There is something there for everybody to use. What are some trends you are seeing in the industry? There's no question that LED technology is driving innovation in the lighting industry today. We can all stand to benefit at all levels with limitless new design form factors not constrained by traditional lamping. Modern LED lighting can be controlled in every way imaginable, providing us with transformative environments that emulate nature's light. How we feel around light will continue to improve our quality of life. Notwithstanding, we all benefit from LED because of variances in size, shape and low energy consumption; we are now in total and absolute control of our light experience. What is your favorite piece available from Pablo Designs? That is a hard question since they all represent a common thread and core philosophy. 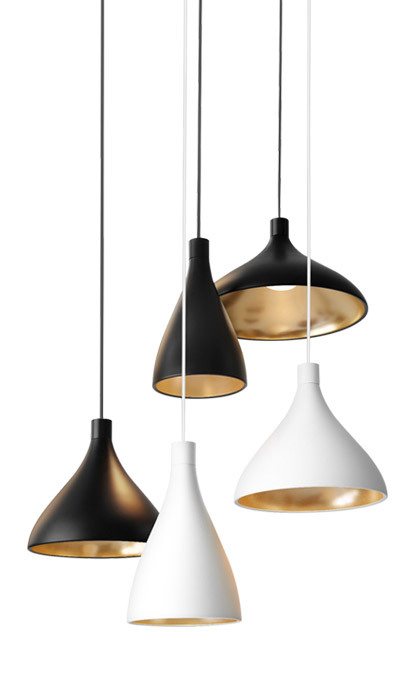 Although it is safe to say that my favorite designs from Pablo lighting are always my newest...until the next one comes along.